By now you have probably heard of the impacting issues at most of the San Carlos elementary schools, with White Oaks taking the brunt of the impacting. A total of 53 more students enrolled than the school typically enrolls each year. I have been forwarded numerous email threads over the past week regarding possible solutions for the problem. I am not going to publish them because I do not yet know which have merit. Some seem like logical solutions. Others are utterly ridiculous and cannot be taken seriously. The one question that seems to immediately pop up when discussing this issue centers around how the district did not anticipate this sudden influx of children into the schools. I am hopeful that someone from the district can answer this one. I have talked with enough people close to the situation to understand that there appears to be a great deal of division in terms of how to rectify the problem. The next few months should be very interesting. I do not envy those that now have to solve this problem. One tough lesson that is about to be taught to many is that students attend a school under the San Carlos School District. 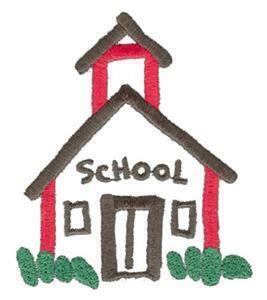 The individual schools belong to the district and the community as a whole, not the surrounding neighborhoods. This point was made very clear in a recent post by Mark Olbert. You can read Mark’s post by clicking here. It’s a tough situation that is upsetting to many. However it turns out, our focus should be on correcting the problem and finding the best solution, not furthering the tension that seems to be boiling over. More updates will be posted here as they become available. A good question, Bob. The demographic study the Board commissioned did, I believe, pick up an early signal of enrollment growth…but only as an unusual one-year shift in the proportion of children born 5 years ago who enrolled in public school. The challenge with one-year shifts, of course, is the question about whether they are (a) one-time blips, (b) the first year of a longer-term trend, or (c) just an error in the data. As others have pointed out elsewhere there were some signs before kindergarten enrollment day this year that there were going to be more applicants. I don’t know why those weren’t picked up on. I don’t understand the question about unexpected growth and why they district didnt predict it. THen consider the fact that some 5 year olds join Kindergarten and some reshirt, and start right before they turn 6. Short of going door to door, how could the district make year over year predictions? Longer term, one could study trends for what the numbers might be in 5 years, but year to year, I’d say its mostly unknowable until you actually get the registrations. The school district is not to blame. We were looking to put our child in private school; that is until I got laid off. I suspect that others are in the same boat and are enrolling in public schools instead. An ex co-worker is pulling his daughter out from St. Francis and enrolling her in Carlmont for the same exact reason. We too are one of those that didn’t get a spot at White Oaks. Am I fuming? No! Was i hoping to get a spot at White oaks when we bought our house five years ago? Sure as hell, yes! Are we going to send our child to Heather? No, year after year heather’s test scores are at the bottom. As crowded as White Oaks is, they get the job done. Heather is focused on importing Tinsley kids from EPA. That’s why the test scores are in the tank. Where are we sending our child? To a private school. The school board and school district do have a difficult task at hand. I attended my first school board meeting last week since our daughter that will be attending kindergarten in 2010 and the decisions made this year will effect our school district for years to come. One observation I made is clearly stated on Mark Olbert’s blog, overwhelmingly there is a lack of community togetherness and instead a large sense of entitlement. It is stated that every child in the school district will be guaranteed a spot in one of our schools, not which particular school. The current zoning for schools may dictate where your child should attend based upon location, but there are a considerable number of factors that may change that (like an extraordinary number of enrollees). Before I attended the school board meeting, I strongly felt that every child should be allowed to attend their neighborhood school. Then, I listened to the teachers and I heard what dramatic effects overcrowding (which is already the case at White Oaks) has on the quality of education. I would much rather my child have the best education possible rather than being able to walk to school. I am not saying that a neighborhood school is not important but in the grand scheme, the overall quality of education should be given the biggest consideration. I think Heather gets a bad rap and I am sure a lot of Heather parents could speak passionately about the qualities of their school. Every school has positives and negatives and if we work together as a community it will better serve our children for the purpose of education. Lastly, I think historically the expected enrollment numbers have been fairly in line with the birth rate reports, as with any statistical report there will be outlying years (which maybe the case for 2009 enrollees or maybe a leading trend indicator). I know on my street there are several children under the age of 5 in one block and everywhere you go in San Carlos there seems to be tons of babies and preschoolers. I think Baggins is pretty fair in saying that unless they go door to door there is no way of knowing exactly. I seem to remember that Board member Seth Rosenblatt questioned the expected enrollment reports and going back to the firm that put the figures together. I am sure they paid a sizeable amount for those reports so it would be worth researching for future years. Does anyone know how other school districts run their enrollment projections? @Higgins: I hope you would have looked beyond what you think you know about Heather and educated yourself by speaking with current and former parents of Heather students, faculty, PTA and the principal. Our family too had heard all of the soundbites you cite – rather than taking them at face value we did our research and homework and are 100% comfortable with Heather as an appropriate school, academically speaking, for any child in San Carlos. Test scores do not an education make and even so it’s all relative – test scores at the “bottom” of the San Carlos school district are still very good relative to other schools in other districts. And it is simply not true that Heather is focused, to the detriment of its overall educational mission as your statement implies, on importing kids from outside the school district – by the way the districts of Woodside, Portola Valley, Palo Alto…they too are ALL subject to the Tinsley program, space allowing. I won’t judge one’s choice of how and where to educate one’s child but at the end of the day if all San Carlos schools are supported with the same passion as what we’ve seen from parents unable to get into their school of first choice all our children will have the education they need and deserve regardless of campus. I’d like to address the appalling comment from Higgins above. I am a Heather parent and love the school. It is a true gem. And hey — what’s your problem with the “Tinsley kids,” anyway? Do you consider them beneath your socioeconomic class, or is it their skin color that offends you? FYI, it is a district mandate that these children, the parents of whom make GREAT sacrifice so they can attend the school, are offered an education at Heather. Take your snobby, entitled attitude elsewhere. It’s repugnant. heatherparent, you obviously didn’t read very closely. Nowhere mentioned is socieconomic class or race color. You said it or inferrred it, not me. I don’t want to get into a flame war. The fact is Tinsley kids come from a weaker educational background and have difficulty mainstreaming with the rest of the kids. The fact is, these kids needs extra help after school tutoring, but they can’t because the bus trip back leaves right after school. just read the Heather Principal’s bulletin. Heather needs this kids to fill up vacant spaces in the school. However, they’re still required to take the STAR test and take the same classes as their peers. The real solution is to beef up the schools in their home districts, not by putting them on a 2 hour bus journey. I’ll tell you how we made our decision. Last year around this time, we visited the Open House at both Central and Tierra Linda. We specifically visited the 5th grade math teacher and asked where their best incoming 5th graders came from. The answer was White Oaks and Arundel hands down. Both these schools best prepare their 4th graders for 5th grade. The STAR test is just one confirmation. Try this yourself. Case closed. I’m a current Heather parent with another child at TL. I don’t take offense at what higgins said. It’s pretty much on the mark. Given that you are a White Oaks resident, it looks like you did some pretty clever research. I wouldn’t have thought of asking the 5th grade teachers. But then again, that’s what what separates Google from the competition. My husband and I share the same parenting philosophy. He’s very strong in the math and science areas. I make my contribution in the reading and writing areas. Whatever the school can’t give enough of, we gladly supplement at home or in the case of music; a teacher. So far, the kids have turned out just fine academically. Whining does not solve problems. With regards to STAR test scores, I’ve made an observation, but no conclusion. From a socioeconomic viewpoint, San Carlos is very similar to wealthy communities like Orinda, Piedmont, Mill Valley, Larkspur, etc. Yet, the STAR test scores are significantly lower than in those communities. It’s an interesting thought worth investigating. Good luck to your child in private school! It’s sad that the San Carlos school situation is such a mess. We have friends who were looking to buy a house in the white oaks area but now because of the school situation decided to look elsewhere. We also know other people who were very motivated in making donations to San Carlos schools and want to do things for White Oaks elementary even though their kids are still a few years away from going to kindergarten. Unfortunately, this news of not guaranteeing their children in their neighborhood school is putting brakes on their motivation. Instead, people are thinking that they should just save their money in case they need to fund private schools. I hope that the school board understands the impact and solve this problem soon. Hi! Decided to investigate this further when I found out that a neighbor’s daughter is not getting into WO despite living a “stone’s throw” away. A fair approach (and simple too) is: look at where the children live. The closer they live to a certain school, the higher up the “list” they should be. Abolish the stupid “lottery” system. It should be simple logistics! The children who live within a few blocks, get in first…the ones who live a mile away are lowest on the wait list. Of course, siblings of current students should still come first! From what I’ve read it seems that some of the impact to WO is being created by siblings of current students – students that live outside the neighborhood zoned for the school. So perhaps what’s missing is that your neighbor’s child isn’t getting in because the higher-priority sibling group is taking up a lot of spaces, and if so your proposed solution wouldn’t change a whole lot as far as many WO families would still be concerned.